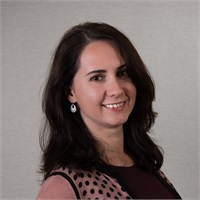 Olga Krostyne | Halberstadt Financial Consultants, Inc.
Olga has more than 6 years of experience working in finance and healthcare management. Before joining our team, Olga was a financial/commission analyst at Easy Choice Health Plan of New York (formerly Atlantis Health Plan). Prior to this, Olga served as Staff Accountant at Amper, Politziner & Mattia in New York, now known as EisnerAmper, the fourteenth largest regional accounting firm in the country, where she acquired comprehensive knowledge and experience in financial accounting and auditing. Olga earned a Bachelor of Science in Business Administration from Rider University, with a major in Finance and Accounting.